With less than a week before Seattle’s students are scheduled to return to school, families have started making backup plans in case a potential teacher strike disrupts the first day. It’s unclear to some parents, though, why the typically communicative Seattle Public Schools officials appear to have gone radio silent on the subject. 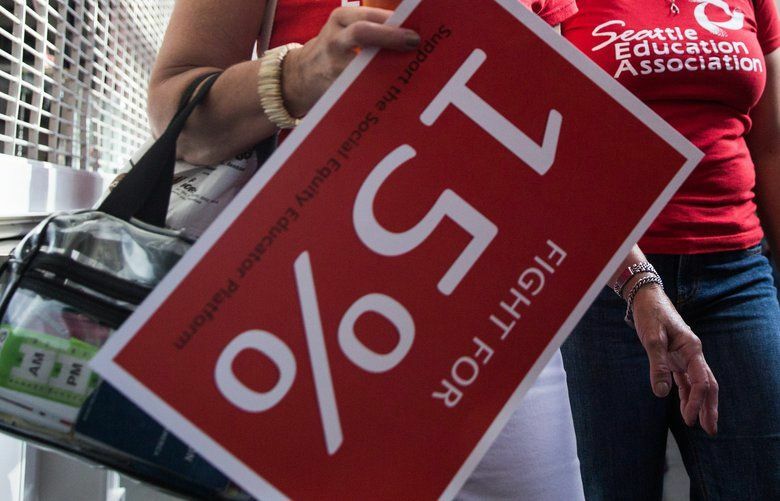 There’s no guarantee teachers actually will strike, but it’s an option their union approved Tuesday in case a deal isn’t struck soon on a new contract with Seattle Public Schools. Still, the possibility that a walkout could cancel classes next week prompted some families to coordinate emergency child-care plans with relatives and neighbors, while others wondered why they had heard nothing from the school district about what to expect. But the information parents had, they were getting from everywhere but Seattle Public Schools: Facebook, Twitter, newspapers, television, text messages. As of Wednesday afternoon, the district had sent no official communication to parents warning them of a potential strike. Gupte, a communications consultant for nonprofits, recalled the last time Seattle teachers went out on strike three years ago. Her son was about to start kindergarten at Hay Elementary, but it wasn’t until she received updates from the district each evening that Gupte could tell the eager student that the bus would not come to pick him up the next morning. 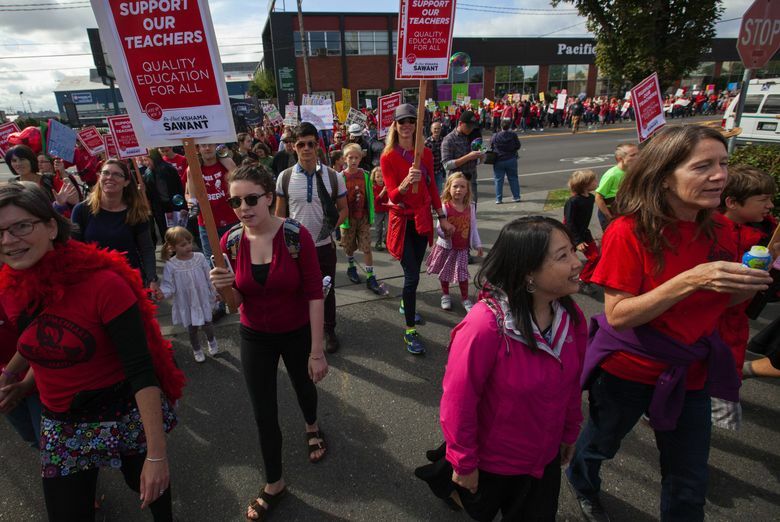 On Tuesday, teachers and other school staff represented by the Seattle Education Association voted to authorize a strike if contract talks failed to produce an agreement by Sept. 5, the first day of school. Negotiators for the district and union have been meeting since May to hammer out details of teacher pay, better benefits, racial equity initiatives and more. The two sides failed to reach a deal by an Aug. 25 deadline, and since then, the district has posted two bargaining updates on its website and promoted the posts on social media. A back-to-school newsletter sent to families earlier this week contained no mention of the potential strike or contract negotiations. In a statement, the district said Wednesday that it remains optimistic that school will start on time and indicated it would reserve any direct communication with parents until a strike seems imminent. Some families first heard of a potential strike from the Seattle Council PTSA or schools’ parent-teacher associations. For others, word-of-mouth spread the news. Erika Nagy, a Ballard parent of two students, said she only learned of the strike from a teacher friend on Facebook. The only information she received from the district was an email encouraging her to vote for next year’s operational levy. A single mother, Nagy said it would be “absolutely devastating” if the district didn’t provide enough warning of a strike for working families who can’t afford alternative child-care options or can’t rely on friends.